- Excess vitamin C can cause deficiency in some individuals. - If you take supplemental chromium and vanadium, take them at different times. - There may be an interaction between vanadium and chromium. - Tobacco use decreases the uptake of vanadium. 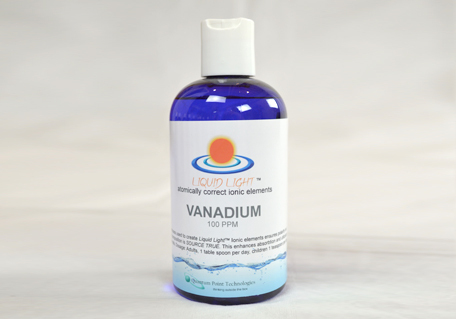 - Vanadium is very toxic and is linked to manic depression in high quantities. - Overdose signs include cramping, diarrhea and a green tongue.